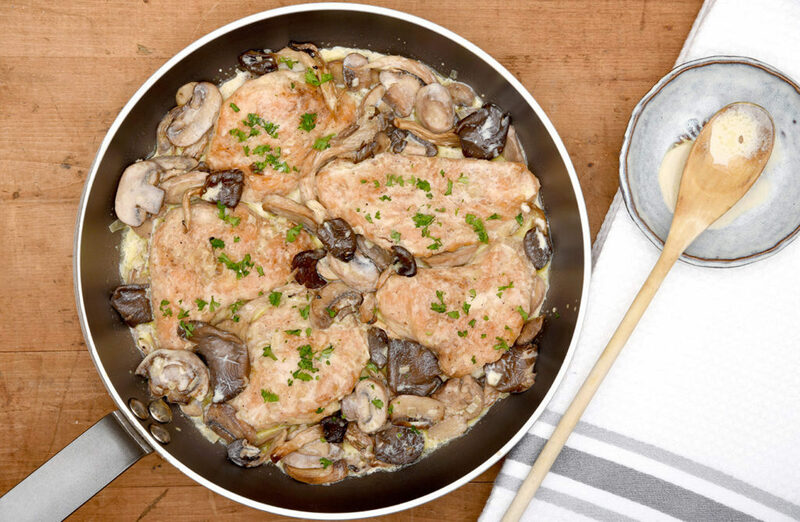 TIP: You can substitute white wine for Marsala if you don’t have on hand. To lighten up the sauce, replace the cream and butter with 1/3 cup milk and 1 tsp cornstarch. The recipe can easily be doubled to feed 4-6 people. Slice turkey breast into 1-inch medallions. Heat olive oil in a skillet or frying pan over medium heat. 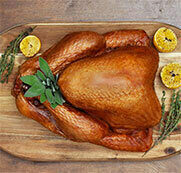 Brown turkey on both sides, and cook through until no longer pink, 3-4 minutes per side. Remove from pan and set aside. Add shallots and cook until translucent, 3-4 minutes. Add garlic and mushrooms, and cook until mushrooms are browned, 5-7 minutes. Add cream, butter and broth. Remove from heat. Return turkey to the pan, cover with sauce and top with parsley.